Campers meet at the church parking lot at 4:00PM Friday packed and ready to leave. Google Map shows a 3.5 hour travel time, so please be on time to allow for a quick departure. 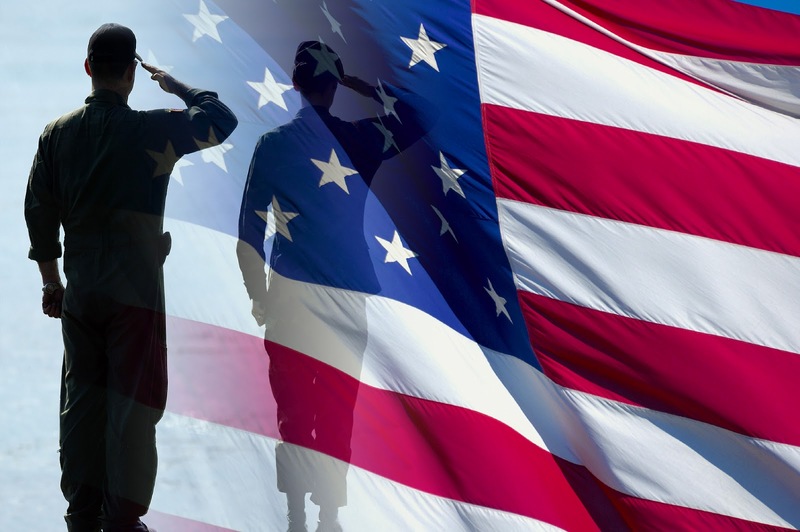 Remember to pack light, (do not bring cots or trunks, everything must fit in your backpack while still allowing room for food and tent share) have plenty of water storage - we can refill at base-camp. 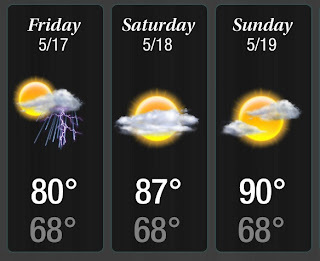 Be equipped with hiking footwear, bring cool dress, its going to be a little warm - mid to upper 80's with lows around 68. There is a chance of showers so don't forget the rain gear. You will need a sack meal for the Friday evening. Wear your Class A's for travel Friday. Parents we will be camping Friday night at Shady Lake Recreation Area in the Ouachita National Forest near Mena and hitting the Buckeye Loop trail Saturday morning. 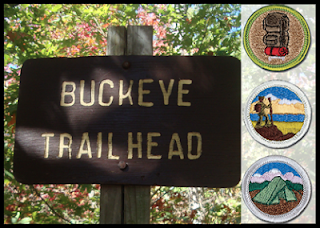 We will camp on the trail Saturday night around Katy Falls, and hike out Sunday morning arriving back in Monticello sometime Sunday afternoon. Be aware that due to the terrain in the wilderness area there will likely be no cell service, don't expect updates from the field unless we get lucky while on the ridge. We will send out a mass text to those subscribed to the text service when we leave on our return trip home and again at about 30 minutes out from Monticello. Have You turned in your DeSoto Summer Camp registration and camp fee? 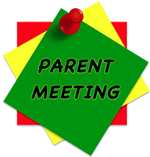 If you missed the troop meeting Monday evening (5/13) you need to submit your registration information and camp fee to Mr. Crook as soon as possible. Also, Everyone attending camp needs to complete their Annual Health and Medical Record before we leave for Summer Camp (you will not be able to attend without it). DeSoto Summer Camp is Sunday June 16th - Friday June 21st. Family Night/Campfire is Friday June 21st. 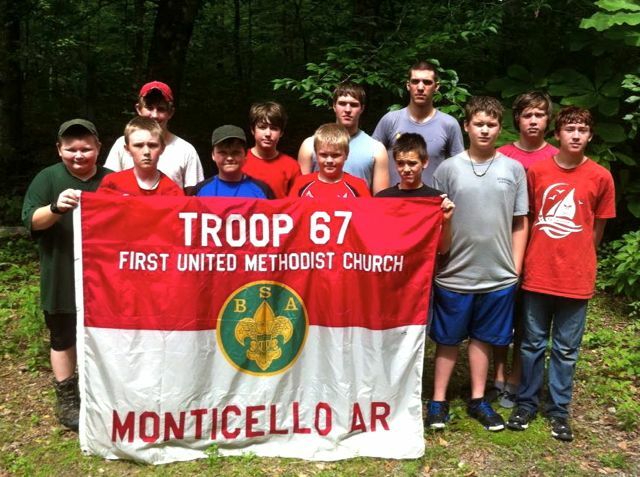 Troop Meeting/Parent Meeting – Monday Night (May 13th) at 6:30PM, FUMC Family Life Center – We will be making final preparations for both our Caney Creek Wilderness Hike/Campout (May 17th-19th) and DeSoto Summer Camp Registration (June 16th-21st). 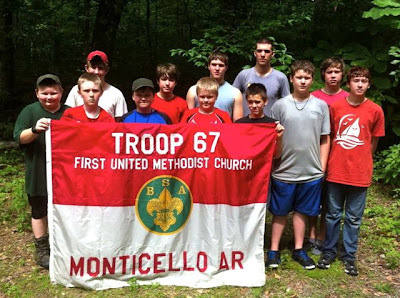 Scouts need to bring their Summer Camp Registration Form with their choice of merit badges and activities along with the Summer Camp fee of $225*. The camp fee for the Wilderness Hike/Campout is $30 and is also due at this meeting. 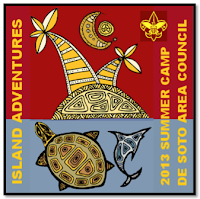 *For payment options please see the Scoutmaster or Financial Officer. ** The Annual Health and Medical Record (PDF) deadline is June 16th.